Our friend Blob has escaped the lab and he’s on the run. Blob is no ordinary run of the mill blob, he’s been infused with colour changing abilities. Change colour by jumping up and down and avoid the lazers. 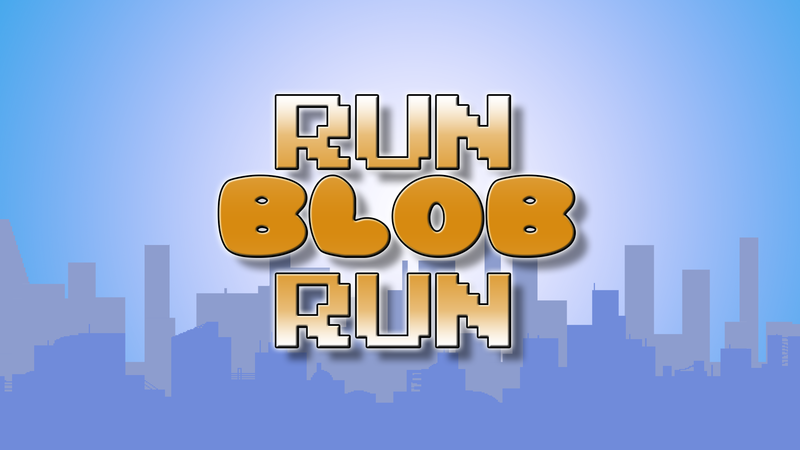 Run Blob Run is inspired by a couple of great games, Canabalt, Flywrench and the ol’ Flappy Bird. I’ve tried to mix the colour matching of fly wrench with the running and jumping of Canabalt with the death and destruction of Flappy Bird. Jumping changes your colour on the upward and downward flight. The lazers will only let you through if you’re colour matches. Use ‘Up’ to jump and ‘Right’ to dash, that’s about it. Sounds easy right?